Pancreatic cancer is the fourth leading cause of cancer-related death in Western countries with a poor prognosis (5-year survival rates, 25% in patients after tumor resection with adjuvant treatment; overall, the 5-year survival rate is about 4%; Jemal et al., CA Cancer J Clin, 55:10–30, 2005). Many patients develop a cachectic status during the progression of the disease, and this syndrome accounts for up to 80% of deaths in patients with advanced pancreatic cancer. Remarkably, there are only a few data available on the impact of cachexia in patients with pancreatic cancer scheduled for tumor resection. 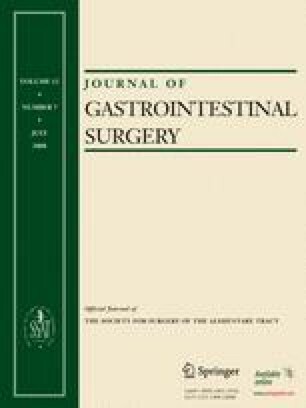 Therefore, in this study, 227 consecutive patients with ductal adenocarcinoma of the pancreas were documented over an 18-month period regarding the prevalence of cachexia and its influence on perioperative morbidity and mortality with a special interest to postoperative weight gain and survival in a prospectively designed database and followed up. In 40.5% of the patients, cachexia was already present at the time of operation. The cachectic patients did present in a worse nutritional status, represented by lower protein, albumins, and hemoglobin levels. Despite no significant differences in tumor size, lymph node status, and CA19-9 levels, the resection rate in patients with cachexia was reduced (77.8% vs. 48.9%) due to a higher rate of metastatic disease in patients with cachexia. The morbidity and in-hospital mortality revealed no significant difference. However, patients with and without cachexia lost weight after operation, and the weight gain started not until 6 months after operation. The survival in patients with cachexia was significantly reduced in patients undergoing tumor resection as well as in palliative treated patients. Cachexia has a significant impact on survival and performance status in palliative patients as well as in patients operated for pancreatic cancer. But tumor-related cachexia is not necessarily dependent on tumor size or load and that metastatic dedifferentiation of the tumor might be a critical step in the development of tumor-associated cachexia.